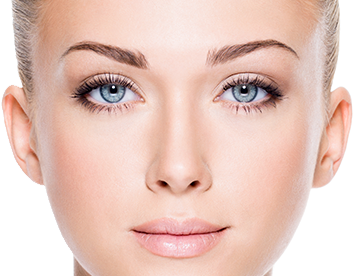 How do Plastic Surgeons differ from others who claim expertise in performing cosmetic surgery? Other doctors who claim expertise in the area of ‘cosmetic’ surgery and are not Fellows of the Royal Australasian College Of Surgeons (RACS) or registered with ASPS (Australian Society Of Plastic Surgeons) are less qualified. They are usually general practitioners with no further surgical training recognised by RACS. While it may be legal for them to perform surgical operations, they are not accredited to operate in any Public Hospital or inpatient private facility. Usually they perform surgical procedures in their office or day facility. These doctors will have various titles, including ‘cosmetic surgeon’, ‘cosmetic practitioner’, ‘cosmetic physician’ or ‘specialist in cosmetic procedures’. Many will have an impressive looking list of qualifications following their names, yet will lack the most important credentials, that is FRACS (Plast.) and ASPS membership. Other doctors who also claim expertise in the cosmetic field are in fact medical specialists, but are not trained in plastic surgery. These include dermatologists and surgeons (FRACS) who are trained in other fields, such as general surgery. While there is nothing illegal about this, it is often confusing for a patient to understand and decide who is best qualified to perform cosmetic surgical procedures. REMEMBER: Always look for ASPS membership, because this membership is not possible without the surgeon obtaining FRACS (Plast.) first. Having obtained these qualifications, Plastic and Reconstructive Surgeons can be relied upon to know how to manage patients who present with complex issues, are medically unwell or who suffer complications that can happen after undergoing surgery. Only fully trained specialists have access to Hospitals to admit an unwell patient if necessary, such as in the event of a major complication after surgery. To make an appointment with David Ying, whether it’s to book a cosmetic surgery, non-surgical cosmetic procedure or simply for more information about any services, contact us at Waverley Plastic Surgery today.